Microsoft on Monday announced a series of major enhancements to its enterprise cloud platform, as well as a new strategic partnership with Adobe, advancing its drive to attract new business from core competitors like Salesforce and Amazon. 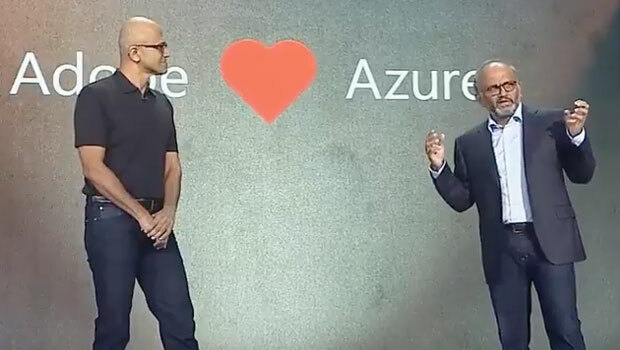 Microsoft has entered a strategic partnership to make Azure the preferred cloud platform for the Adobe Marketing Cloud, Adobe Creative Cloud and Adobe Document Cloud. Adobe Marketing Cloud will become the preferred service for Microsoft’s Dynamics 365 Enterprise edition. The announcement of the new Azure monitoring and management updates, which allow seamless integration, was critical for Microsoft, said Rob Enderle, principal analyst at the Enderle Group. Microsoft is the only firm that offers both on- and off-premises implementations of the same cloud-based platform, he told the E-Commerce Times. Adobe’s move raises questions about why it decided to reduce its participation in the AWS platform, noted Ed Anderson, research vice president, cloud services, at Gartner. It might be related to some of the intelligence capabilities now available through Microsoft’s Cortana platform, he suggested. Be the first to comment on "Adobe Leaps From AWS to Microsoft’s Cloud"